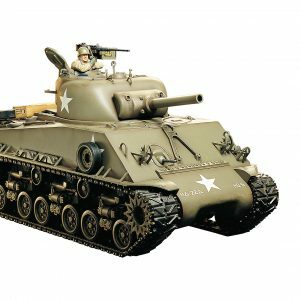 The Tamiya R/C Battle System has been released to be added to the Tamiya 1/16 RC tanks introducing a revolution in tank-to-tank fighting. 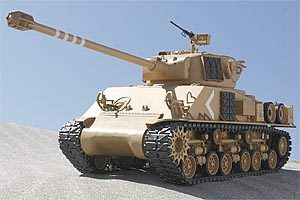 This system incorporates infrared light and realistic sound, eliminating the difficulty in judging, often found with other tank-to-tank games. 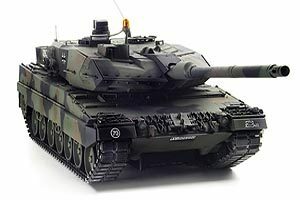 Furthermore, infrared light is totally harmless and prevents damage to details of the tank body. The system is comprised of the GFS (Gun Fire Simulator) Unit and the Infrared LED Unit, for the respective detection and emission of infrared beams. 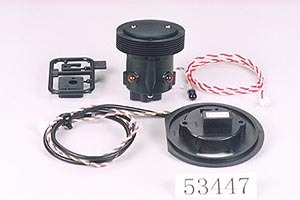 A wide range of sound effects and actions are reproduced with Battle System including: damage blast, engine trouble sound, loss of speed, blast reaction, limited operation state, and finally inoperative state. Battle System provides a maximum shooting range of 30m and can be easily installed to your tank even after assembly and painting. 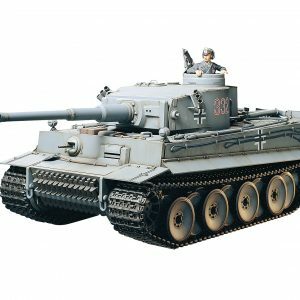 Battle System lets you bring out the true roar of your 1/16 RC Tank! Note: Battle System is only usable with 1/16 tank equipped with Multifunction Unit. 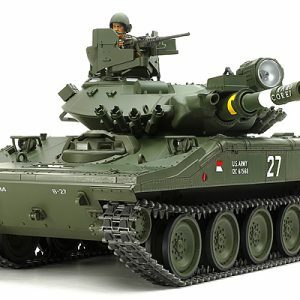 Operation requires the use of two or more tanks equipped with Battle System. 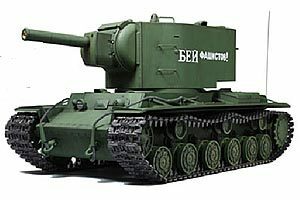 Personalize your Tank Combat! 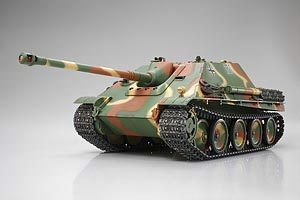 You have just been hit by the enemy tank! 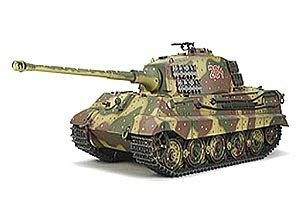 You will hear the booming “damage blast” sound and feel your tank shake with the “blast reaction” effect. The GFS Unit will also flash to indicate the hit, and the sound and speed of your engine will slow. Also, directly after taking a hit, your tank gets “shaken up” and temporarily loses the ability to fire-you’re down…but not out. Blown Away! Your tank can only absorb so much punishment. After a certain number of blasts (this too can be adjusted), you will hear an “explosion” and the GFS Unit will flash intensely. Your tank will make two final lurches forward before the engine shuts down and all tank control is lost. 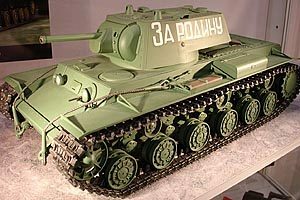 The good news is that after a short period of “down-time” (about 15sec), your tank will come back to life with the “battery engine start-up” sound. For a short time, your tank remains invulnerable to enemy fire, allowing for some evasive maneuvering before striking back at your foe. Long 30m Shooting Distance! Battle System provides a maximum shooting distance of 30m, allowing for spacious tank-to-tank battling in a variety of settings. 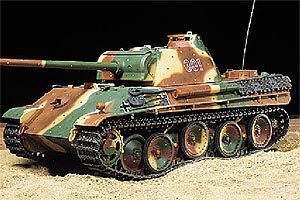 When enemy is within 5m of your tank, blasting him at any angle will cause damage. 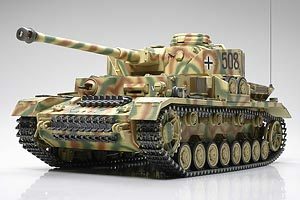 When the enemy is outside the 5m radius, only hits made at right angles to the tank (front, sides, or rear) will be effective. Battle System stays true to laws of real tank combat, where hits received diagonally harmlessly defect off the thick armor plating. 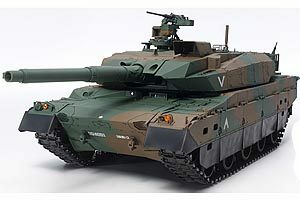 Tamiya brings you the heart-pounding thrill of real tank combat with Battle System.